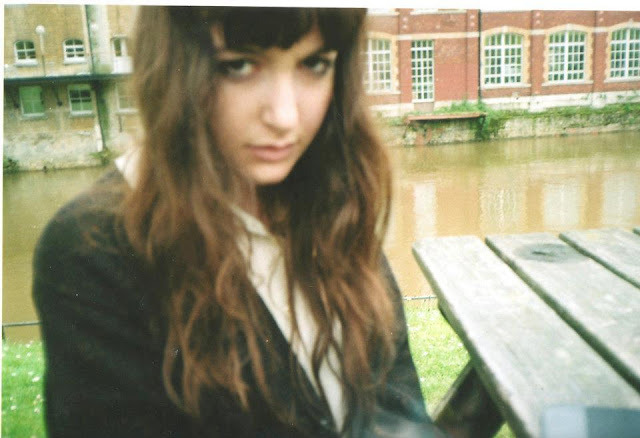 Here's a interview with one of our favorite people from the UK, Ellen Davies AKA /please/. While you're reading the interview, do take a listen to Ellen's latest release .2. for totally free. Enjoy! Me: Please state your name, location and occupation. Ellen: my name is ellen davies, i'm in bristol uk, and i'm a student i suppose. Your new album ".2." in my opinion is a much different releases that your s/t EP, with a bit more of an ambient electronic pop feel to it. Was your recording or the making of ".2." any different than "/please/"? yeah they're pretty different releases. some of the tracks on the ep were just about the first i'd ever recorded, a lot of thought went into it but the songs are pretty basic in structure. i worked into the album a lot more. I know you have fans over here some fans over here in America, but how's your fanbase in your home country? Have you ever played any live shows before? Or considered it? /please/ tour? Eh? Have you ever considered singing on any of your tracks? there's underlying vocals in a lot of the songs on my album, perhaps they're too underlying! i got really into tentatively including little bits of voice a few months ago, it makes everything sound much more human, and now i'm less nervous playing around with more definite vocals provided they're padded out with effects. my newest song brave has quite an audible vocal line, it's the only thing i've written with more than a couple of lines of lyrics. We've been told you're currently working on a collab with our good friend Rafael, AKA FAVRTSM. Can you confirm this? Excited if that actually does happen. yes i can! i'm working on something related right now actually. his music is beautiful and delicate and i'm so wary of dragging it in the wrong direction! Who are some of your musical role models? t's so, so difficult to say. the two musicians i've loved the most deeply for the longest are probably elliott smith and kate bush-they're on a untouchable level in my mind. after that i couldn't narrow it down-i'll give you an enormous list if you'd like one. One of the first times I talked to you, you left the chat to get some tea ready. Does everybody in the UK enjoy tea? i wasn't actually talking about tea as in the beverage when i left you that time! i meant some food, like dinner. but yeah i think it's relatively controversial to not like tea, the beverage..
thank you for wanting to interview me!